Get ready to explore the beauty of Kerala backwaters with this 3 day/2nights cruise package that take you through the enthralling backwaters of God’s own country, Kerala. 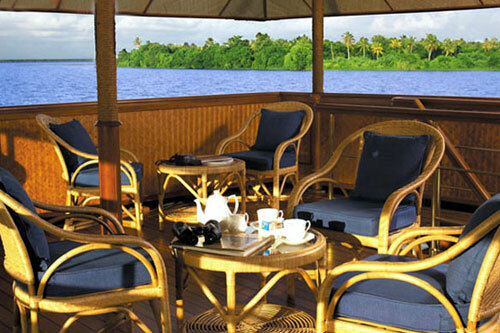 Nothing can be better than enjoying the beauty of the backwaters onboard a luxury backwater cruise. 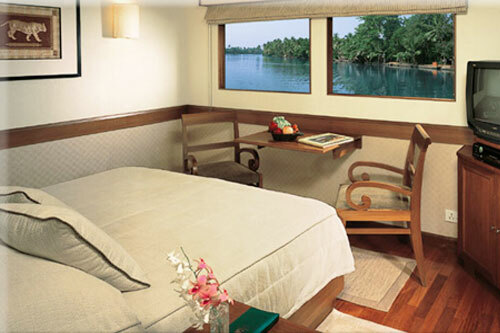 The luxury Oberoi Vrinda Motor Vessel is your perfect backwater partner. 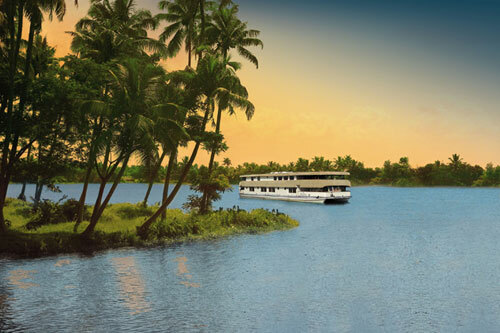 As you sail through the serene waters of Alleppey, enjoy the world-class facilities offered to you onboard. This picture-perfect holiday is something you certainly can’t miss. 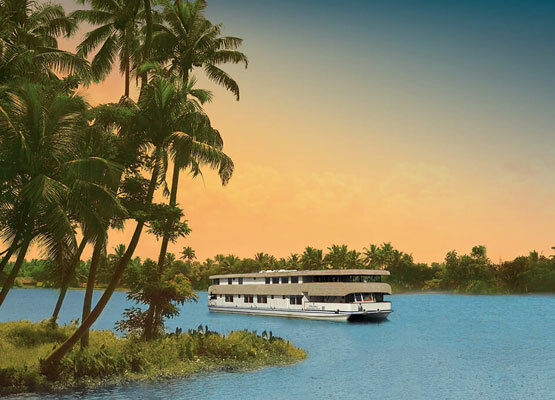 Experience the magic of Kerala as you sail through those beautiful waterways for four hours. Enjoy the sunset as the vessel returns to the Vembanad Lake. In the evening, enjoy a 'Kathakali' dance performance through which you will get to enjoy stories from the ancient Hindu epics - Ramayana and Mahabharata. Visit St. Mary's Church that was established by St. Thomas in the year 1721. Also visit Sree Bhagavathy Kshetram, a 100-year old Hindu temple dedicated to Mother Goddess. With this excursion, you can explore the Chambakulam snake boat yard. The yard houses one of the traditional long snake boats used in races in the past. 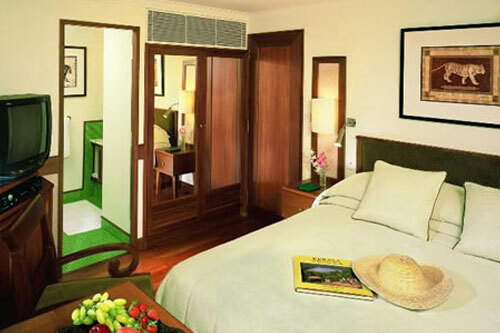 A qualified guide will be there with you to make you explore and experience the treasure of Kerala. As you get back to the vessel in the afternoon, get ready to return to Vembanad Lake. On reaching, enjoy a "Mohiniattam" performance on board. Also known as 'Dance of the Enchantress', Mohiniyattam is a classical dance form. Enjoy dinner on board. The luxury Oberoi Vrinda Motor Vessel consists of 8 elegantly designed and well-appointed Deluxe Cabins, equipped with modern world-class facilities. These spacious and well-maintained cabins with aesthetic interiors and special timer-flooring comprise of king-size beds, TV, electronic safety deposit, DVD players, cushy furniture and more. The huge picture windows offer an amazing view of the backwaters. Every cabin has an attached bathroom with plush toiletries. The luxury Vrinda vessel offers an unforgettable fine-dining experience to its guests. Relish sumptuous lip-smacking meals while admiring the lush mesmerizing scenic beauty of the nature around you. The upper-deck of the vessel houses a bar and lounge where you can relish mouth-watering delicacies during all your meals. The specialties include South Indian and International fares. Some of the must-have dishes, prepared by the expert chef and his team, include Malabar fish curry, Espresso cheese mousse, Orange salad, Masala Prawns, Meen Moily and Crab dishes. A major highlight is that the chef and his team prepare special dishes, while you are on the cruise. 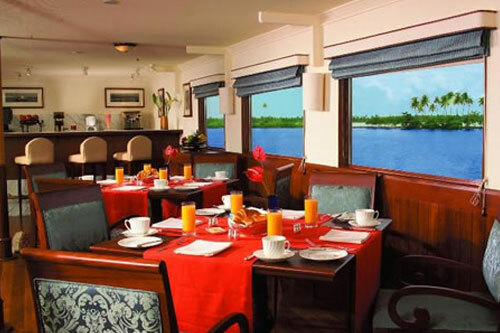 The itinerary on The Oberoi Motor Vessel Vrinda includes accommodation, all meals on board, sightseeing excursion with a guide, evening entertainment, and transfers to and from Cochin airport to Vembanad Lake jetty and all applicable taxes.